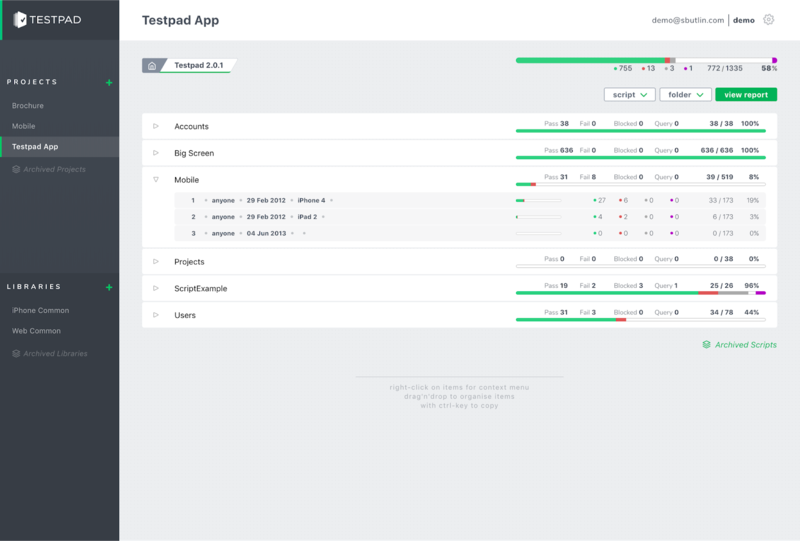 Testpad just got a major update to its look and feel. The whole design of the app, and the branding of the marketing website, has been updated with a fresh look. 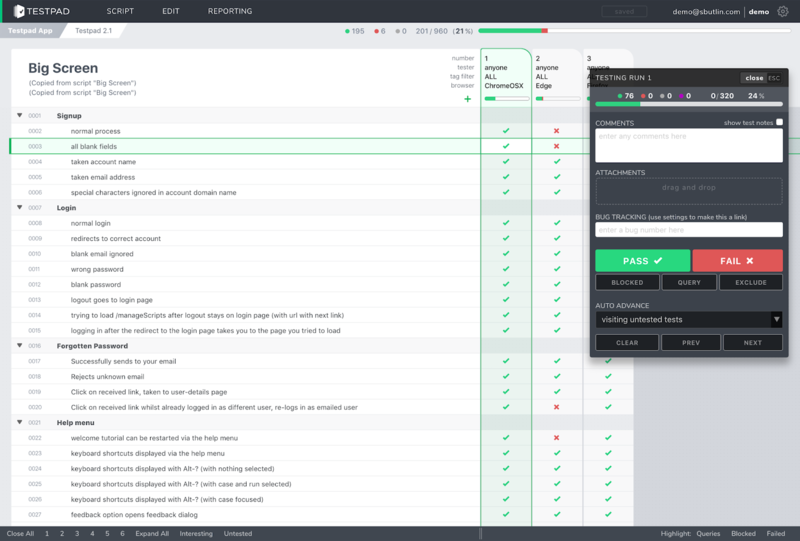 The functionality remains nearly identical, with only a few menu options moving around. Everything you could do before you should still be able to do in the new version. At the same time, Testpad also updated its pricing. This is the first time prices have been changed (yes, raised) since Testpad launched in 2011, so a change has been well overdue for some time. The four existing plans have been replaced with three user-limited plans (for up to 3, 10 and 25 users respectively) along with a new kind of bespoke plan for enterprise customers. Existing customers who were paying automatically either monthly or annually may continue on their current plans at their current pricing. If you have any questions, or find problems with the new version, please don't hesitate to contact stef@ontestpad.com.